Jute erosion control cloth is a strong, biodegradable geotextile. Its practical uses include stabilizing slopes and controlling soil erosion from water and wind. It can also be used to control the growth of new grass by laying it on top of the seeds and soil. 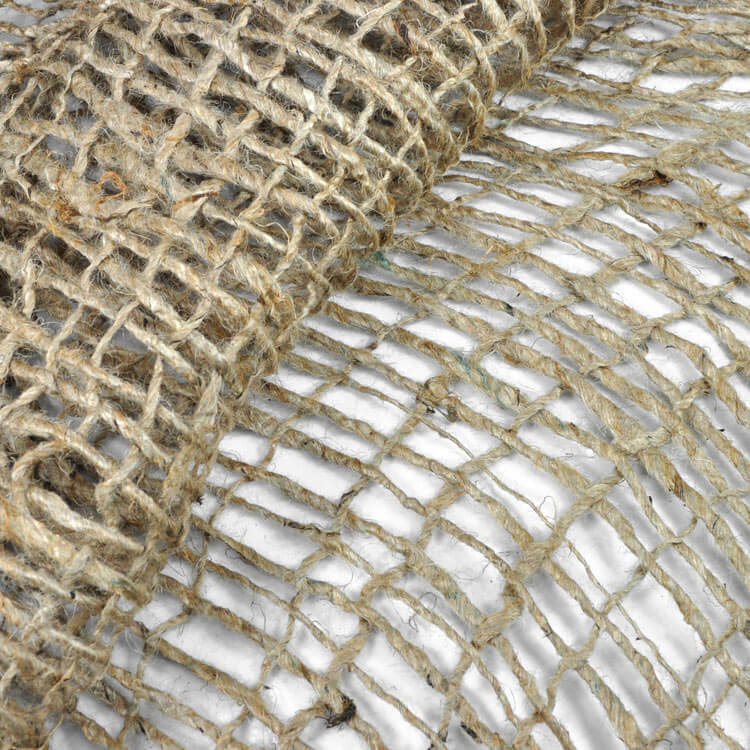 This 100% jute product, otherwise known as JGT (Jute Geotextile), provides a simple, economical, and effective alternative to many other methods of erosion control. Though primarily used for the practical purpose of erosion control and slope stabilization, erosion cloth can be used for alternative or decorative purposes. Some people use it for set pieces in theater or photography, or as rustic window treatments. Since jute is a natural, biodegradable textile, it will eventually decompose more rapidly and is less harmful to the environment compared to other materials. Once placed in the ground, jute erosion cloth will decompose more rapidly. The actual rate of decomposition depends on varying factors like temperature, moisture, and humidity, but this cloth will generally last about 3 to 6 months in the ground before bio-degradation. Click here to see our jute erosion cloth!